Both social networking channels can be leveraged well to establish contact with potential target audience. Till now, you must have used LinkedIn only to grow your B2B contacts, but do you know you can also use it to search for would-be clients? Make sure you are a part of a relevant groups on Facebook & LinkedIn, if not, then you can also create your own group, which gives you an excellent opportunity to invite the members & download your free opt-in offers or newsletters. Email lists can also be grown with relevant subscribers when you create Facebook Lead Generation ads. The ads will help you target prospects when the content is engaging and image matches with the copy. They allow you to collect email addresses and more personal data. Facebook ads targets your exact demographic depending on the the targeting options you have selected, plus the results can be dramatic. Would you want to promote a new product release, exclusive feature, or anything else? If you’re active on Instagram or Snapchat then make sure you add stories in your brand profile, which can be linked to your newsletter. Do ensure how subscribing to the newsletter will keep your target audience updated about the recent brand promotions. When it comes to garnering a good amount of email list building, Twitter Lead Generation Cards is also an ideal option. To use this feature, you need to sign up for a Twitter Ads account to build a Lead Generation Card. The presence of large audience will accelerate your email list building process. Not just lead cards, Twitter offers more than one ways to grow your email subscriber list with sponsored / promoted posts and paid ads. 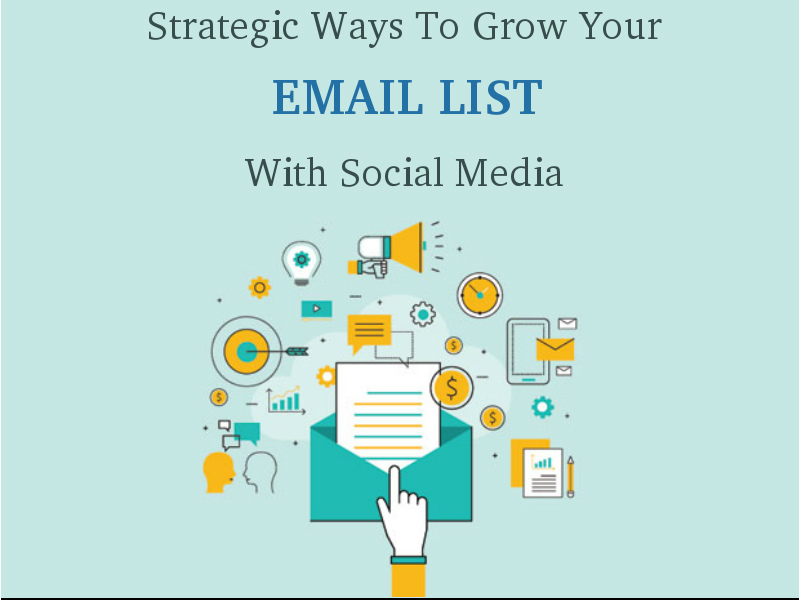 Growing email marketing list is a continual process and it needs to be updated from time to time for growing your business sales. Using social media for building loyal subscribers is definitely a great way to grow the rate of new subscriptions. Which is these strategy would you use? Have you used social media to grow your subscriber list? Let us know in the comments. Email marketing is the easiest marketing communication for tapping new customers & it is proved through a study that at least 91% of consumers check their email every day. Are you keen on online promotion of your brand? Futurescape Advertising has the best strategies in place for making your brand stand out from the rest as we’re the top advertising & digital marketing company in Navi Mumbai.